2013 Dine Out Vancouver Festival food tour at Coast Restaurant from The Glowbal Collection on Alberni Street on January 14, 2013. 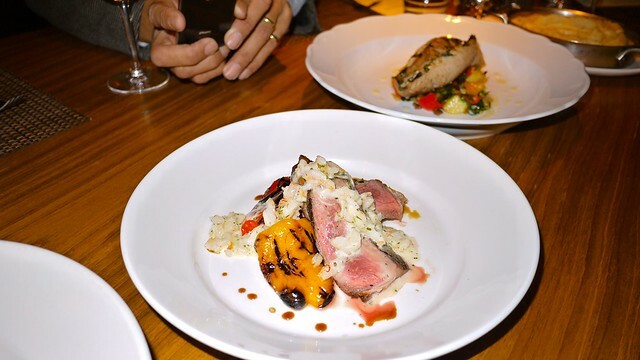 Dine Out is back and the Glowbal Collection is no exception. To start off the week, they assembled media and a team of food writers to tour what Glowbal had to offer. 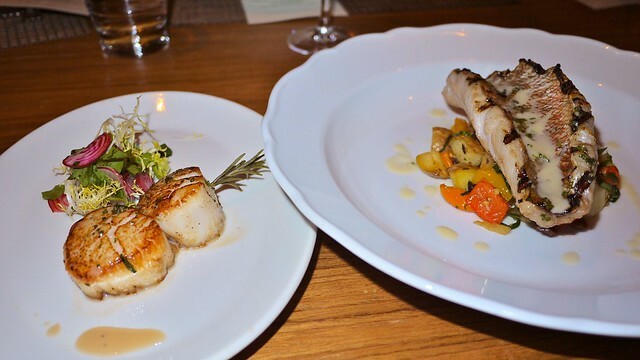 Beginning the evening, we dove into Coast Restaurant’s set menu offerings ($38). 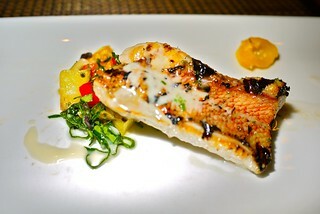 I found the grilled BC snapper (very top) the standout dish and a solid entrée. On the other hand, the grilled Alberta beef done "Oscar style" (above, with prawn béarnaise) was more subdued but still fine and sumptuous. 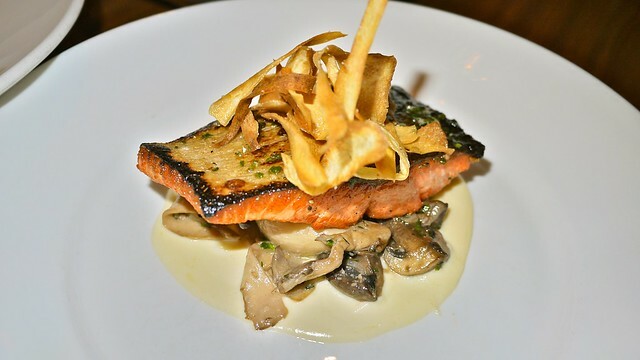 Next, the grilled BC salmon was well prepared and cooked but had a slightly dry, crisp allure, served on a bed of wild mushrooms. The rosemary scallops and buttery prawn mashed potatoes (not pictured) were both delicious, decadent treats (available as an add ons). 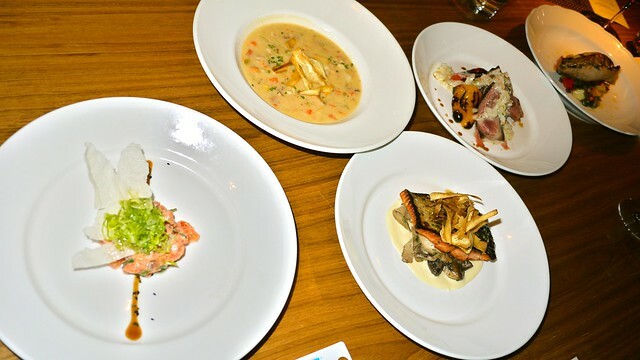 As starters go, between the bay scallop and clam chowder and thai salmon tartar go, I'd pick the smooth, creamy chowder. Althought the tatar was a sheer, no nonsense appetizer. 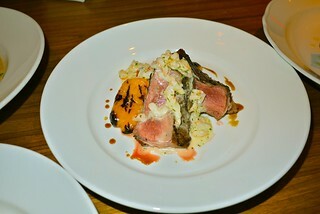 Coast offered a decent, satisfying meal focused on mostly quality seafood ingredients. 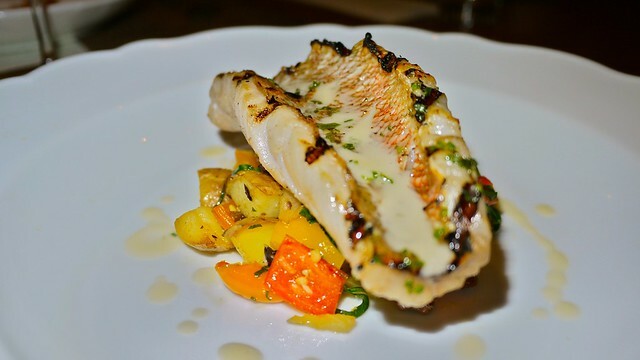 I would go with the chowder and snapper combination and not look back. Next: Black + Blue.